Remember that terrible summer of 1968? 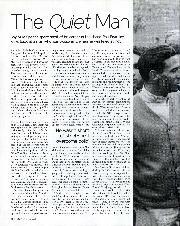 In April the Grand Prix world was stunned beyond belief when Jim Clark crashed to his death in an insignificant Formula 2 race at Hockenheim and disasters seemed to continue with a terrible regularity, disasters which threw into sharp relief concern about many aspects of motor racing safety which started a concerted push to develop security systems and safety techniques which today's drivers still benefit from. During that long hot summer it was as if motor racing had been shaken into questioning its traditional values, its whole raison-d'etre. For Team Lotus in particular, it was a trying period Colin Chapman had actually pondered giving up the whole motor racing game, such was his grief at Clark's loss, but he surmounted his personal grief and pressed on with his programme. These were exciting times for Lotus. Not only had Chapman and Keith Duckworth re-written the parameters of GP car design and performance with the superb Cosworth DFV-engined Lotus 49, but Lotus's onslaught on that bastion ot North American conservatism, the Indy 500, was in full cry. Ever since Clark had won the American classic in 1965, Chapman had been committed to tapping this lucrative source of dollars. In 1968 he was scheduled to return with the striking, wedge-profile turbine cars, the type 56. Clark was killed before he could test the turbine at the "Brickyard", so into the team in his place was brought BRM F1 driver Mike Spence, it man whose early career had been nurtured by Chapman some years before. Spence entered into the task of testing the Indy turbine car with great relish and comrnitment, but seasoned observers noted that he maintained a high line through the tricky Indianapolis turn one on almost every lap. He had turned a lap at just under 170 mph in his own car before transferring to another and continuing the test. 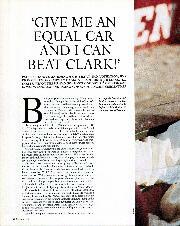 Just a month after Clark's fatal accident. Spence crashed heavily at Indianapolis, sustaining multiple head injuries from which he succumbed a few hours later in hospital. Not only was it another tragedy for Chapman to face, but it also devastated the BRM team. Spence was their front-line English driver partnering Pedro Rodriguez in the Bourne line-up and his showings in the Race of Champions and the International Trophy at Silverstone with the new V12-engined P126 suggested he was on the verge of proving his quality as an F1 contender. Michael Henderson Spence was born on December 30. 1936 in Croydon, Surrey, the son of a sliding door gear engineer. Struck down with a bout of polio at the age of six, he recovered well enough to play cricket superbly and later rise to the command of a British army tank crew during his national service in Germany in the early 1950s. Educated at Oxford, Mike's passion for cars and motoring was fostered in part by his father who owned a Turner 950 at the time Mike was learning to driv.e Spence Jnr did some rallying in the Turner and made his racing debut at Goodwood in 1958 at the wheel of a second-hand Bristol-engined AC Ace which his family acquired. 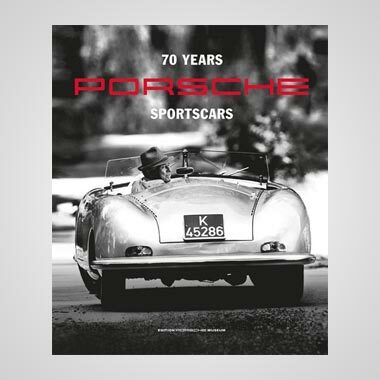 For the next couple of seasons he raced only spasmodically, but in 1960 he decided to throw all his efforts behind trying to become a professional racing driver. Spence's father's sliding door business, Coburn Engineering, was doing sufficiently well for them to arrange the purchase of a Cooper-Austin F/Junior car. From the outset of his career Mike showed more than a passing degree of talent in the ferociously competitive F/Junior world where dare-devil commitment was only good enough to got you so far. The real stars of this closely-contested category showed a relaxed flair, witness Jim Clark, Pater Arundell and Trevor Taylor. To be honest, Mike Spence was not far behind in terms of promise. And, by a supremely ironic sequence of coincidences, he was scheduled to follow the paths of those three aforementioned luminaries into the Team Lotus F1 line-up. During the 1960 season Mike scored good wins with the Cooper-Austin at Snetterton and Silverstone before venturing abroad to win his heat at the prestigious Monza Lottery meeting, although he suffered an engine failure during the final. Ambitiously, he decided to have a crack in F1 with an Emeryson-Climax in 1961, a season during which non-Championship F1 races proliferated on the European calendar in much the same way as Formula Ford events do in the 1980s. 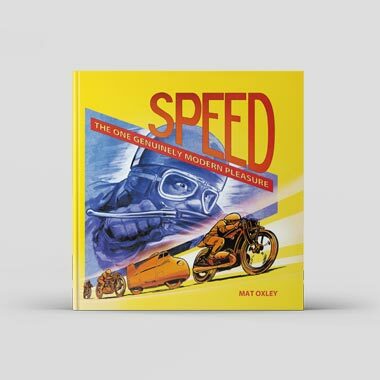 It was not an unqualified success by any manner or means, but he finished second to Tony Marsh at Brands Hatch and was running seventh at Solitude when he retired. For 1962 Spence became inolved with long-time enthusiastic entrant Ian Walker, himself closely connected with Lotus, and together they fielded Mike's F/Junior Lotus 22 in Walker's distinctive yellow and green livery. He showed a lot of style and judgement and although his only race win came at Reims, his meticulous touch through the streets of Monaco caught the eye of Colin Chapman, the shrewd Lotus boss taking time out to watch the frantic F/Junior race on this most famous of Grand Prix circuits Peter Arundell wort that particular race, but Spence's unflustered technique made a firm impression in Chapman's mind. He decided that he would keep an eye on Spence's future performance. 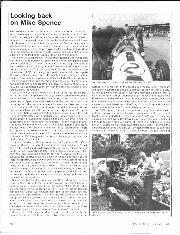 For 1963 the Team Lotus F/Junior effort was fielded by film producer / entrepreneur Ron Harris and Spence's fine Monaco showing earned him a place in the team with Arundell and John Fenning. The Lotus 27 chassis took a long time being worked into competitive shape, but Chapman's interest in Spence was sustained. At the end of the season he was offered a run in one of the Team Lotus 25s in the Italian Grand Prix at Monza, the race at which Jim Clark clinched his first World Championship. In his well-practised, but unobtrusively effective style, climbing to he climbed to seventh place before his Climax V8 engine failed just over 13 laps from the chequered flag. The role of number two to Jim Clark at Team Lotus during the early 1960s was very difficult, of that there is no question. There is a very firm parallel with the situation at Lotus in 1986 where all the team's resources are thrown behind the brilliant Ayrton Sena and the second car is only there to make up the numbers. By the end of 1963 Chapman had decided to replace the genial, but accident-prone, Trevor Taylor at the wheel of the second car. The man nominated to fill the position was Spence's sometime F/Junior team-mate Peter Arundell. As Arundell got on with his maiden season as an F1 full-timer, Spence signed again to drive for Ron Harris and found that the new Lotus 32 was a considerable improvement over the 27. Mike started his season on a promising note by winning the F2 class of the Aintree 200 Formula 1 thrash at the famous Liverpool circuit and eventually won the British F2 title, sponsored at that time by Autocar magazine. However, mid-way through the season Arundel, misfortune was to provide Spence with his big break. During the flat-out F2 thrash at Reims, Arundell got involved in a multi-car pile-up from which he was lucky to escape with his life. His Lotus 32 somersaulted into a field and he lingered near death for many weeks in hospital. His place in the Lotus F1 line-up was immediately and logically taken by Mike Spence. 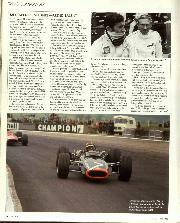 He had his first outing as Jim Clark's full-time partner in the first British Grand Prix to be staged at Brands Hatch. He finished ninth. His best placing of the year was fourth at Mexico City in the last race of the year, where he later admitted the thought crossed his mind of trying to push (literally!) his team-mate's crippled car round the last lap in a vain attempt to salvage Clark's World Championship hopes! At the start of 1965 Mike Spence really looked as though he was coming of age For the first time since Clark's ascendancy it seemed as though Team Lotus was, after all, capable of producing two competitive Grand Prix cars. In the first race of the year. 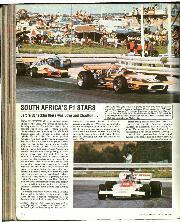 the South African GP at East London, Jim and Mike sprinted into the lead at the start and ran in 1-2 formation for many laps. Only a couple of spins spoiled the symmetry of a crushingly dominant result and Mike wound up a disappointing fourth. Spence finally put his name on the Formula 1 map when he saved the day for Team Lotus at the 1965 Brands Hatch Race of Champions After Jim Clark had been harried into an uncharacteristic error on Bottom Straight and crashed heavily whilst under pressure from Dan Gurney's Brabham, Spence went on to win the two-heat event on aggregate ahead of Jackie Stewart's BRM. But that represented the peak of Mike's F1 achievement that season, his best placing in a Championship GP being third at Mexico City right at the end of the season. Chapman had been impressed with Spence's conscientious and meticulous approach and privately admitted that he would have been more than happy to keep him on team strength in 1966. However, he had a long-standing obligation to Peter Arundell, by now grinding a painful path back to fitness following that Reims shunt some 18 months before He had promised Peter that his place in the F1 team would remain open and he stuck to that commitment Arundell rejoined the team for 1966. but failed to recapture the spark of promise which had been the hallmark of his early '64 outings. He did not continue with the team in 1967. The Formula 1 scene was rather chaotic in 1966. the new technical regulations obliging the smaller teams to use whatever updated or redundant machinery they could lay their hands on in an effort to sustain an F1 challenge Mike signed to dove for privateer Tim Parnell, using a Lotiis 33 into which was slotted a 2-litre Tasman BRM engine. It was a makeshift machine which could hardly be expected to contest leading places in the major Championship rounds. Mike nonetheless netted a fifth at Zandvoort during the Dutch GP. the car painted an outlandish white with a central green stripe, taking the I ctitious identity of Peter Aron 's Yamura for the purposes of filming the MGM epic 'Grand Prix'! With Graham Hill leaving the works BRM line-up at the start of 1967 tor a lucrative Lotus contract alongside Jim Clark, Jackie Stewart became the Bourne team's number one as they wrestled to make sense out of the technically overwhelming BRM H-16. Spence was signed on as his number two and although he never displayed any of the unfettered brilliance with which Stewart was imbued, Mike supported him admirably Their best result together was the 1967 Belgian GP at Spa-Francorchamps. Jackie was second to Dan Gurney's Eagle with Mike fifth. It was the only time both the works H-16s finished together in the Championship points. 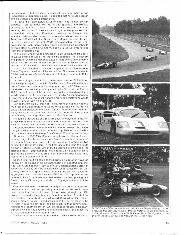 British fans, however, were fortunate enough to see Spence at his best in the 1967 BOAC 500 km sports car classic at Brands Hatch. Sharing the distinctive, winged Chaparral Chevy sports car with 1961 World Champion Phil Hill, he beat the Jackie Stewart / Chris Amon Ferrari 330P4 into second place after an epic encounter Although his F1 exploits were only destined to hit the headlines late in his career, this well-judged performance was probably a better indication of Spence's latent talent than his rides in the unreliable H-16. By the start of 1968 BRM had decided to reassess its technical approach, abandoning the H-16 in favour of a less complex V12 Suddenly it seemed as though Spence had come of age. 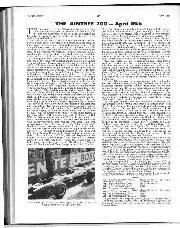 He held second place for many laps in the Race of Champions behind Bruce McLaren's debutant McLaren M7 and then contested the lead expertly in the International Trophy, holding the BRM P126 in the leading bunch with a new-found assurance and speed Great things were being predicted for the "Maidenhead Motorist" when he embarked on that fateful trip to Indianapolis from which he never returned. In private life Mike had a gregarious charm arid a grin which lit up the whole of his face. Although developing into a series professional, totally committed to his career, he never ceased to gain the same sort of pleasure from his motor racing that he had derived in those early less intense days in Formula Junior. At the start of 1966 he had married his girlfriend Lynne and they settled in Maidenhead where he opened a prestige car showroom under the name of Mike Spence Ltd which continues its trade in that pleasant English town. 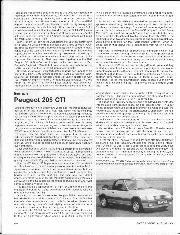 To many of today's enthusiasts it is simply another performance car dealer. 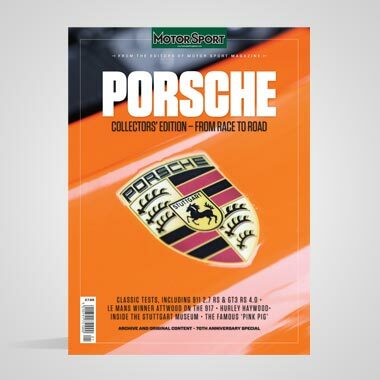 To those of us with longer memories, it stirs flickering, yet happy, pictures of a 32-year old who was on the brink of making the F1 big time just over eighteen years ago. - A.H.